To register, please email us for more detailed information. Please note, all registrations are non-refundable. If you compare a digital print and a screen print of the same imagery next to each other you will see a vast difference! 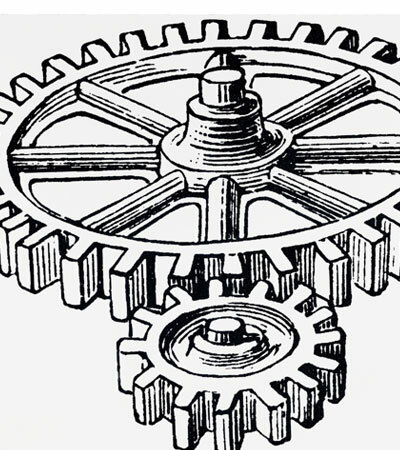 Screen printing offers layering techniques that graphic artists know from Photoshop but the silkscreen results are infinitely more interesting in their imperfections, more tactile and more attractive. 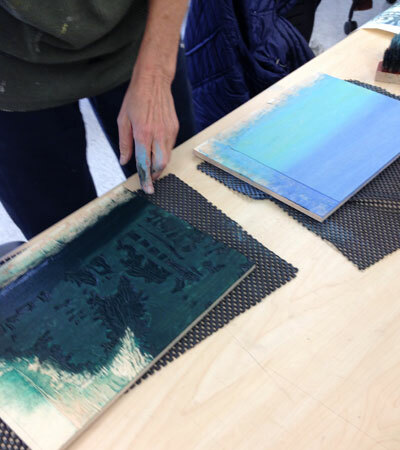 This workshop will focus on making layered, multi colored screen prints. Juxtaposing multiple screens, images can be created that are dramatic and unexpected. We will be paying particular attention to mixing transparent colors and layering them. Workshop attendees will be provided with guidelines for image creation. Class is limited to four participants. Block printing on textile can be a spontaneous way to create designs using repeated motifs, basic inks and fabrics. Printing fabric using component blocks is an approachable way to create and develop a dynamic design vocabulary. Inspired by a brief history of textile block printing, we will carve our own designs and print short samples of fabric. 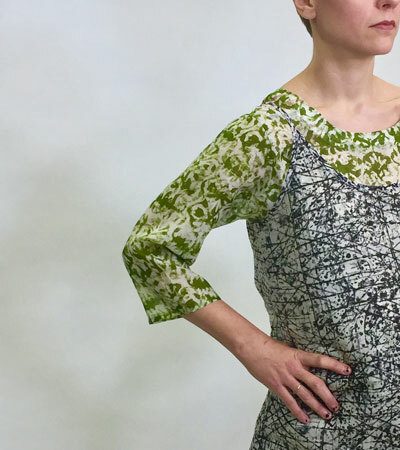 Drawing from inspiration of your own choosing, this class will allow you to explore the structure of patterns, learn basic pattern networks, understand repetition of units across a length of fabric, and experiment with the number of designs that can be created with one motif. Because printed textiles often express form through repeats, we will begin on Day 1 with exercises in black and white, learning basic pattern structures before moving to a more self-directed studio format on Day 2 with colors, varying repeats, creating multi-color designs, layering, and developing more complex imagery. Demonstrations will focus on translating found inspiration into block patterns, carving motifs, and basic repeat techniques. Fabric weights and qualities will be discussed. Students are welcome to bring in their own fabrics in addition to what is provided in the workshop. 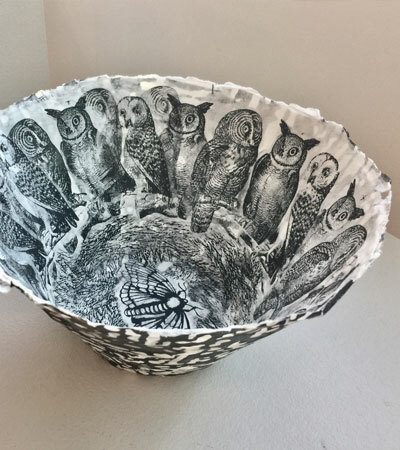 Silkscreened Japanese paper (provided) and papier mâché are cast on a form to create beautiful and useful bowls. This workshop is open to all makers, no art experience is required. All materials are provided. 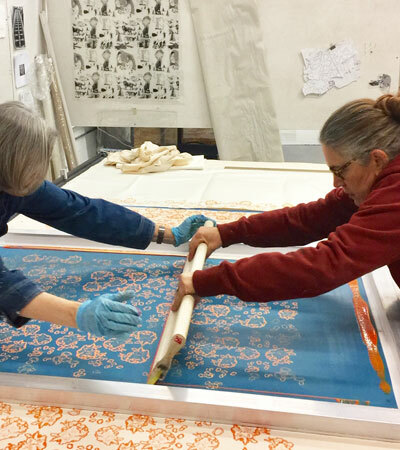 This workshop will include demonstrations of how to print and register a repeat pattern, mix textile inks, and discuss many wonderful things one can create on a fabric printing table. We will also team print fabric yardage. The focus will be on process. Participants will take away samples we have printed which demonstrate multiple techniques. This workshop will be capped at 4 participants. Workshop fee of $350.00 includes all materials. Interested parties should reserve with a non-refundable check or VENMO payment. Prior experience with silkscreen printing is advised. Japanese woodblock is a technique rich in tradition dating back to the 17th century. Ukiyo-e means “pictures of a floating world” because these prints depicted all parts of daily life. We will be carving wood blocks and inking them with watercolors and nori paste to create painterly gradations of color called bokashi. Students will have the opportunity to create two and three color prints and to experiment with Japanese papers. 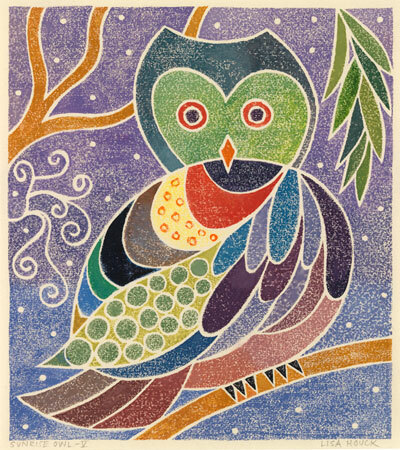 This non-toxic print medium is colorful and subtle and allows for beautiful transparent washes of color as well as detailed textures and wood grain, all of which make for unique imagery. Please bring sketchbooks, photos and other inspirations to the first class. Appropriate for all levels. All materials will be provided. Class is limited to 8 participants. all of the colors are on one block. Each area is hand painted with watercolor, making this a type of printing that is very painterly. We will carve a line drawing into a pine board and then spend our second day learning how to print your woodcut with watercolors. It was invented in Massachusetts, and the tradition is being carried on by a number of artists in the area. No press required and you can continue exploring this medium at home. This class is open to all levels. Please come prepared with an idea for an 8” X 10” print. Supplies: $25 per student. Class is limited to 8 participants. 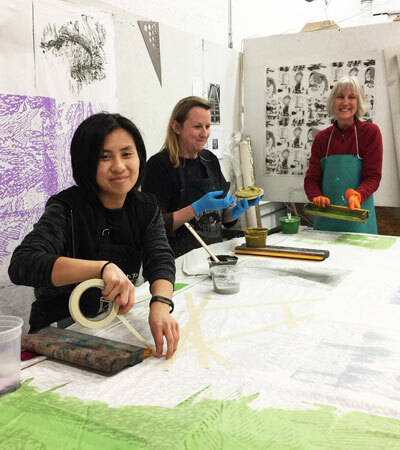 Enjoy a four-day immersion into an absorbing age-old printmaking process. We will carve and print woodcuts using classic and more contemporary methods to achieve exciting results during this 4-day in-depth Printfest! We will experiment with one color and with layered images as they emerge from your carved block. 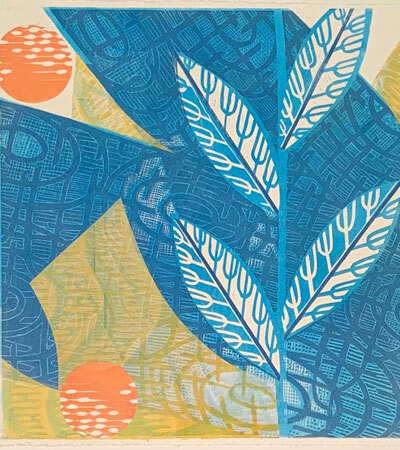 Color, composition and texture will all be considered as you explore all the ways relief printmaking can challenge your process. Using Akua non-toxic inks we will combine many blocks or work reductively from one; rotate blocks and utilize stencils to hide and reveal layers in your work. Class time runs from 9am to noon but participants are welcomed/encouraged to stay to work on their own during the afternoon. Class is limited to 8. Please bring your own sharpened quality woodcut carving tools, the rest will be covered in the materials fee. More info upon registration. Shepherd & Maudsleigh Studio. 27 Dunstan Street, West Newton, MA 02465.